CoreValue Services, a Software and Technology Services firm, providing services in Salesforce Eco System, Mobile applications, and Data-powered solutions, is happy to announce that we have become official members of the CAI-Global IT Partner Alliance. Alliance is a global network of independent IT companies aimed at connecting their unique offers with customers’ needs, in order to deliver innovations and build strong relationships with clients. 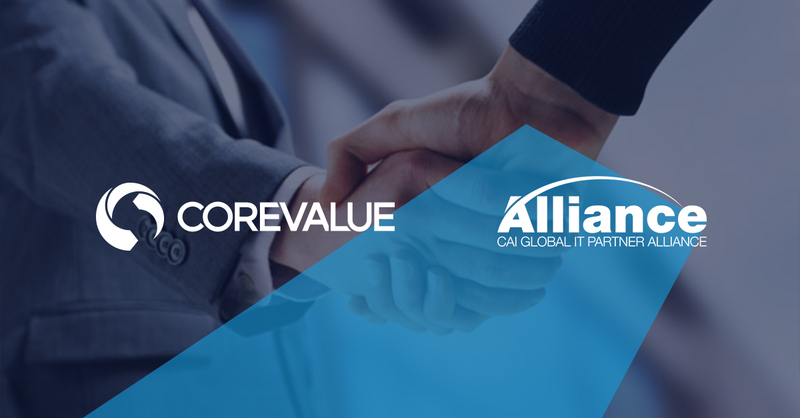 Partnering with Alliance further demonstrates the rising success of CoreValue and offers a platform to accelerate our growth in the global market. The mission of Alliance is to combine the individual strengths of IT organizations into a cooperative, sharing, and connected world-wide network, helping members immediately expand their products and services which resonates well with the present CoreValue strategy. CAI is a leader in consulting, technology, and outsourcing services with more than 4,500 people. Headquartered in Allentown, PA, CAI works with Fortune 1000 companies and local, state and federal agencies to drive IT innovation. CoreValue Services is a global software and technology company that delivers innovative solutions to the Pharmatech, Healthcare, and Financial Sectors to help businesses achieve their objectives.